The best way to contact Dawn Foster is by emailing dawn@fastwonder.com. If you are interested in seeing recent presentations (slides and videos where available), you should visit the speaking page. Geek, Open Source Strategist, Community Leader, and Technology Enthusiast. Dawn Foster is currently the Open Source Software Strategy Lead at Pivotal. She has over 20 years of experience in business and technology with expertise in open source software, community building, community management, market research, strategic planning, management, and more. She is passionate about bringing people together through a combination of online communities and real-world events. She has experience building new communities and managing existing communities with a particular emphasis on developer and open source communities. Dawn’s most recent positions included Consultant at The Scale Factory, Director of Community at Puppet, and Community Lead within Intel’s Open Source Technology Center. She has also worked at Jive Software, Compiere, and The Timken Company in positions ranging from Unix system administrator to market researcher to community manager to open source strategist. Dawn holds a PhD from the University of Greenwich, an MBA from Ashland University, and a bachelor’s degree in computer science from Kent State University. In her spare time, Dawn contributes to a number of technology projects and events. She is on the Governing Board for the Linux Foundation’s CHAOSS project and is a maintainer for the Diversity and Inclusion Working Group within this project. She is on the Board of Advisors for Bitergia, an open source software development analytics company. She is an organizer for Devopsdays London and has previously been on the organizing team for Devopsdays Portland, Monitorama, and Configuration Management Camp. She was a co-founder and board member of Legion of Tech, a non-profit chartered with organizing free events for the Portland, Oregon technology community. As part of her work with Legion of Tech, Dawn was an organizer for Portland BarCamp, Ignite Portland and other events. She was also a co-founder and community evangelist for the location-based startup, Shizzow. Dawn has been a regular contributor to The New Stack, Linux.com, GigaOM’s WebWorkerDaily, and other blogs. 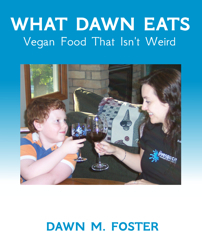 She is the author of the books, What Dawn Eats: Vegan Food That Isn’t Weird and Companies and Communities: Participating without being sleazy. You can read Dawn’s content on Fast Wonder to learn more about her ideas, and you can find links to Dawn’s projects and accomplishments below. Author of 2 Books: Paperback, PDF, and Kindle formats. Available on my speaking page. Jivespace Developer Community: I built and managed this community. Jivespace Developer Podcasts: Series of developer videos I created while at Jive Software. Ignite Realtime Community: An open source community that I managed at Jive. Shizzow: Co-founder and community evangelist for this location-based startup. Author: O’Reilly Women in Technology. Fast Wonder Community Podcast: An occasional online community podcast. Open Culture Blog: The predecessor to Fast Wonder. Compiere Blog: Blog I started and maintained while at Compiere. Intel Trends in Web 2.0 Blog: One of the first 5 blogs on Intel.com. The Fast Wonder blog is an evolution of Dawn’s Open Culture blog originally started in November 2005. A number of other “Open Culture” blogs gradually appeared over the years, and the time came to come up with a more original name and a real logo for this blog. If you think about it long enough, you will understand why Dawn Foster chose the name “Fast Wonder” for her company and blog. A big thank you to Stephen Way for designing the Fast Wonder logo.